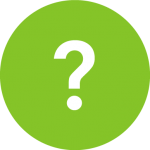 Do you have a question about policy implementation in your state or district? How about a question on the best or promising practices for improving high schools? Ask the Alliance! Through this page, education leaders, policymakers, advocacy groups, civil rights organizations, and others can ask questions about education policy and practice. In the space below, we will post concise, research-backed answers, with resources, that you can use to inform your work. This might include samples of successful state or district policies and practices, high school redesign approaches or various aspects of school improvement. The questions and answers will be archived on this page for others to access, without any individually or organizationally identifiable information. Using the text box below, please post your question. We will follow up with you within a week with an answer or with a timeframe for getting you an answer. How can I determine how well my state educates its high school students? (Editor’s Note: This note came from an individual from South Carolina so we’ve included South Carolina data. Where available, we’ve added links to information for other states so you can find similar information for the state where you live). Over the last four years, South Carolina’s graduation rate has increased six percentage points, reaching 80 percent. Still, this means that one out of five students in South Carolina do not graduate with their peers, and low-income students are even less likely to make it to graduation day. Nearly 30 percent of students from low-income families do not graduate with their peers. Nearly 15,000 students across the state attend high schools where one-third (or more) of students do not graduate with their peers. (For high school graduation rates for your state, including graduation rates for white, African American, low-income, and other subgroups of students, visit https://nces.ed.gov/ccd/tables/ACGR_RE_and_characteristics_2014-15.asp. In South Carolina, only 28 percent of 8th grade students score at the “proficient” level on the Nation’s Report. African American and Latino 8th graders are half as likely as white 8th graders to be proficient in reading. For data from your state, visit http://www.nationsreportcard.gov/reading_math_2015/#reading/state/acl?grade=8. In South Carolina, state ratings may be misleading. • There are 76 high schools that receive the highest overall school rating despite students with disabilities having math proficiency rates in the 60’s or below. In other words, in 78 percent of South Carolina’s high schools that receive the highest overall school rating, students with disabilities have math proficiency rates in the 60’s or below. • In South Carolina, there are 59 high schools that receive the highest overall school rating despite students with disabilities having reading proficiency rates in the 60’s or below. In other words, in nearly 62 percent of South Carolina’s high schools that receive the highest overall school rating, students with disabilities have reading proficiency rates in the 60’s or below. I am working with a high school that is receiving comprehensive support and improvement. They would like to use part of their funds to supplement dual enrollment or concurrent enrollment and need to determine how that approach will look for their LEA. Do you have anything that could help? In particular, they know once they determine how they will use these funds, they won’t have enough to pay for all students seeking dual credit. So we are also seeking input on how to determine the criteria for using these funds. Title I/School Improvement Grants. High schools identified for comprehensive support and improvement are eligible to receive school improvement funding. States differ in how these funds are allocated; some use a formula or offer a competition to school districts. Direct Student Services funds. Some states choose to set aside 3 percent of the state’s Title I funds for this source. In School Year (SY) 2017–18, states will receive federal funds for Student Support and Academic Enrichment Grants. States will receive funding and then allocate those dollars via competition to districts. The district may consider applying. From the question posed, it appears that the school knows that it will not have enough funds to completely cover the demand for dual- or concurrent-enrollment course work. It is important to work with the district superintendent and executive leadership or other agency that has oversight for the school and include parents, students, and other relevant stakeholders during the decisionmaking. Fund dual- or concurrent-enrollment courses that have been traditionally inaccessible for underserved students. 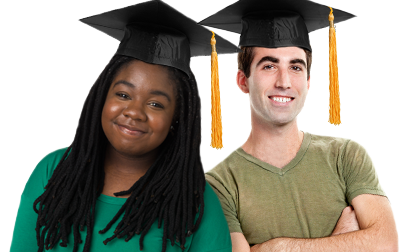 Invest in gateway courses that are needed to complete course credits for entry into two- or four- year colleges or universities, although ensure that funds are used for courses that will transfer as credit at the local and/or statewide two- and four-year colleges. Select a narrow set of accelerated course work not offered at the school or through distance or on-line learning options. Fund course work that leads to credentialing or workforce certification. Utilize an application or lottery system if demand exceeds resources allocated for this initiative. Any use of an application or lottery system must be transparent, based on principles of equity, and in alignment with federal civil rights law. The school should determine whether to cover a set number of students or a set number of course credit hours at the college or university. In other words, should funds be used to cover costs per student or amount of course work? This will impact the approach to allocating resources and may mean that one student equals one course (or a set number of course credit hours) rather than the school paying for a set number of seats or courses, which could allow some students to take multiple courses. There might be a discounted rate from the college or university to stretch the federal grant dollars or consider using other funds to cover a percentage of course work and related fees to cover more students. The state may also offer financial support for implementing dual-enrollment programs locally. The school and college or university should be clear on the total cost for each credit hour and for each student enrolling in dual- or concurrent-enrollment course work. Costs such as registration fees; counseling assistance; books, supplies and materials (particularly for lab courses); and transportation to and from the college campus (if applicable) should be estimated so that students will not be in the position to have credit hours covered but not be able to access courses due to additional costs or the inability to travel to and from course location. Costs associated with additional assessments, certifications, and transcripts should be considered up front. Some dual- or concurrent-enrollment course work may make students eligible to sit for certification exams, and students may need formal documentation of college credits in the form of a transcript. The school should consider setting aside funds to cover the costs of these additional assessments and paperwork/documentation. Depending on the family’s ability to pay, fees could be subsidized by the school and parents pay a portion. The school should seek input and resources from its business and community partnerships regarding dual- or concurrent-enrollment courses. In addition to dual- and concurrent-enrollment course work, the school may expand access to Advanced Placement and International Baccalaureate courses. The Education Commission of the States (ECS) has produced a synthesis of dual- and concurrent-enrollment fifty-state comparisons, found on its website. The comparison is useful as it covers program basics, access, finance, program quality, transferability, and related resources. Of particular interest are ECS’s webpages “Who is primarily responsible for paying tuition?” and “Student eligibility requirements,” which summarize states’ approaches to covering costs associated with dual- and concurrent-enrollment courses and criteria students must meet to participate in programs. Education Week, “Dual Enrollment: Who Pays?” by Catherine Gewertz (September 30, 2016). 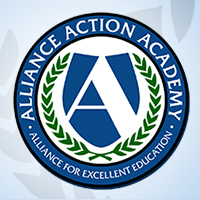 National Alliance of Concurrent Enrollment Partnerships, which is the accrediting body for concurrent-enrollment partnerships.